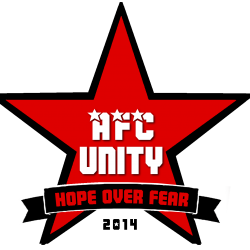 Increasing hostility, the Brexit bombshell, and the election of Donald Trump inciting hatred and division; concepts such as women’s football club AFC Unity are a welcome change for many. Negative stories seem to always top the search bar when it comes to football, however AFC Unity seek to combat this unsavoury attitude surrounding the sport of football to create an inclusive environment and a “unifying force”. These are powerful messages from Jay Baker, co-founder and manager of the club. AFC Unity have adopted a revolutionary outlook which other co-founder, Jane Watkinson, emphasised as “more than just a football club, it’s a way to achieve social change”, and their powerful message is at the core of everything they do as consistency is key to their success. The charismatic duo that founded the club explained their participants are from a multitude of backgrounds, with some coming from the food banks that AFC Unity work with. The club’s first team collects food donations from home matches to then distribute these to local food banks, with ‘some of the players offering to talk to recipients’ who would struggle without the compassion shown by the club. This experience served to educate players of the issue of food poverty which Ms. Watkinson said reduced the stigma and dramatically humanised the otherwise invisible pandemic. Humanity and Equality. These words resound in the mind after discovering the beautiful rebellion of AFC Unity. Their ethos goes against that of the global norms created by fear and an undeniable confusion with difference. Although they may not seem to be a group of people fighting for change in same way Emmeline Pankhurst of the 1903 Suffragettes did, their use of modern tactics start to chip away at misconceptions typically found in our regressive culture. A catalyst for this time travel to the dark ages can be found in the aforementioned election of Donald Trump, with his frequent displays of sexism, it’s now the time for us as the Human Race to fight these atrocities. Fighting against the conventional idea of football has not been easy for the alternative football club, with both founders expressing their discontent with the help received from the National Governing Body of the sport, the FA (Football Association). The struggles that the club (and specifically Ms. Watkinson as secretary) go through is a key indication that although society may need change, the idealistic approach of the club is difficult for long-standing organisations to understand and support. Why choose football when there are all of these barriers? Mr Baker replied that “it’s the only sport we’ve really tried. And it’s a game that can unite people more than others”. It would be easy for AFC Unity to lower their expectations. Instead they passively prove their point by taking an inherently masculine sport and turning it upside down by showing compassion, treating people like humans rather than competitors, and making a real impact in the community. Community projects are a huge part of the work AFC Unity do, and speaking to both founders of the concept they have no plans to slow down. Procedures to improve the success of the first team are in motion. The team bonds during group skill sessions, and with experienced players coming from all over Yorkshire it’s easy for the club to access individual strengths to hold sessions that are beneficial to all. Success normally comes at a price, often meaning sacrifice and pressure. Ms. Watkinson completely rejects this strategy, with the avoidance of ‘pressure or fear, or anything like that’ which would put mental health and the club’s ethos in danger. This seems to be a winning formula too. The team wanted to be successful this season, and after coming into one of their final games after losing every one prior, the players realised this year was all about learning and fun. A pre-match talk by manager Jay Baker relayed the no-pressure message and seemed to be magical, producing a 3–7 win which was put down to the no pressure policy. “There’s no mistakes, only lessons so don’t worry, messing up is a part of the learning process”. This quote by Mr Baker should be heard by every female, whether an athlete or not. The club shows unbelievable dedication to the feminist movement in a world where women are reduced to objects by figureheads such as Donald Trump who denied sexual allegations due to the victim being ‘too unattractive’. 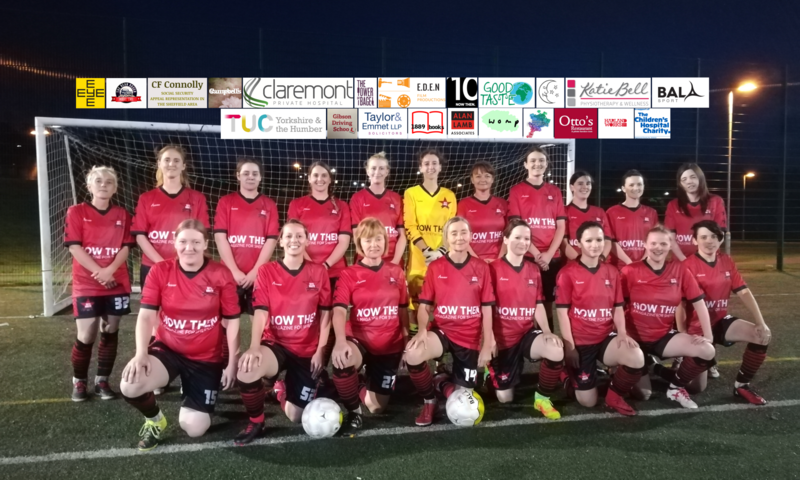 AFC Unity ‘likes to help create an inclusive environment’ which is necessary for personal development, and is why the club has gathered success from those previously marginalised. The main use for the clubs’ money is to educate more communities around the UK. Mr Baker fantasised about having a stadium made for the club, he said: “We’ve heard about Forrest Green Rovers and it would be great to follow a similar path!” Although Fairtrade produce would create a financial barrier, Mr Baker reiterated the previously mentioned consistency which players strongly hold onto. “Fearless, pro-active, positivity.” Three words which sum up the club for Jay Baker, and ones that certainly promote a healthy way of living for women across Yorkshire. Progress is inevitable and at half time, it seems the club may be onto another shock win against society, courtesy of the growing number of supporters that keep the dream alive and trump opposing ideologies.